Every man shall obey a civil command. The captain shall have one share and a half of all prizes. The master, carpenter, boatswain and gunner shall have one share and [a] quarter. If any man shall offer to run away or keep any secret from the company, he shall be marooned with one bottle of powder, one bottle of water, one small arm and shot. If any man shall steal anything in the company or game to the value of a piece-of-eight, he shall be marooned or shot. 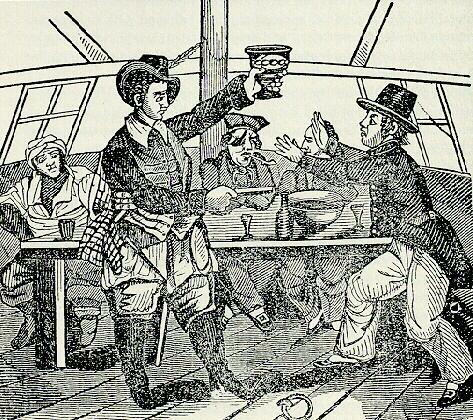 If at any time we should meet another marooner [pirate], that man that shall sign his articles without the consent of our company shall suffer such punishment as the captain and company shall think fit. That man that shall strike another whilst these articles are in force shall receive Moses’s Law (that is, forty stripes lacking one) on the bare back. That man that shall snap his arms or smoke tobacco in the hold without a cap on his pipe, or carry a candle lighted without a lantern, shall suffer the same punishment as in the former article. That man that shall not keep his arms clean, fit for an engagement, or neglect his business, shall be cut off from his share and suffer such other punishment as the captain and the company shall think fit. If any man shall lose a joint in time of an engagement, he shall have 400 pieces-of-eight. If a limb, 800. If at any time we meet with a prudent woman, that man that offers to meddle with her without her consent, shall suffer present death. That’s from Charles Johnson’s General History of the Pyrates, 1724. It’s one of only four surviving sets of articles from the golden age of piracy. Phillips lasted less than eight months as a pirate captain but captured 34 ships in the West Indies. 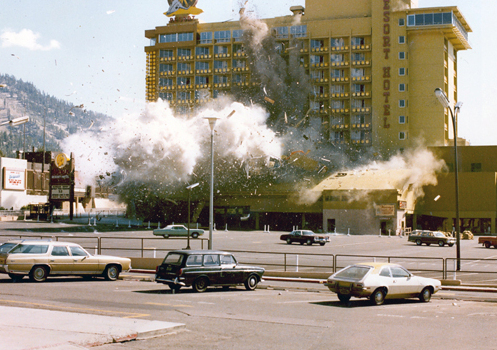 In August 1980, an extortionist planted a thousand-pound bomb in Harvey’s Wagon Wheel Casino in western Nevada. Unless the owners paid him $3 million within 24 hours, he said, the bomb would go off and destroy the casino. In this week’s episode of the Futility Closet podcast we’ll describe the tense drama that followed and the FBI’s efforts to catch the criminal behind it. We’ll also consider some dubious lawn care shortcuts and puzzle over why a man would tear up a winning ticket. 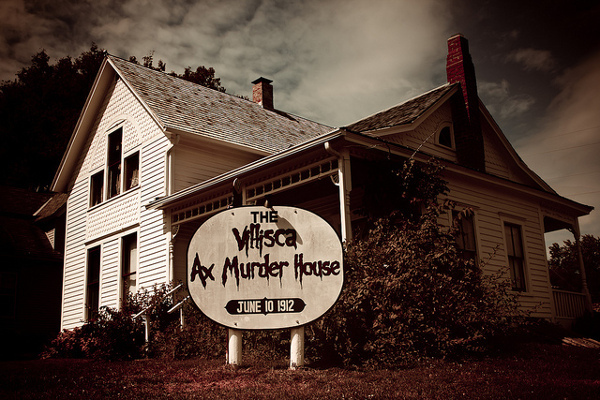 Early one morning in 1912, the residents of Villisca, Iowa, discovered a horrible scene: An entire family had been brutally murdered in their sleep. In this week’s episode of the Futility Closet podcast we’ll describe the gruesome crime, which has baffled investigators for a hundred years. We’ll also follow the further adventures of German sea ace Felix von Luckner and puzzle over some fickle bodyguards. In 1996, workers demolishing the old Apollo Theater on West 42nd Street in New York City discovered a hidden cache of discarded wallets. Apparently a thief had preyed on theatergoers there 40 years earlier, stealing wallets and pocketbooks, removing the cash and valuables, and dropping the rest into an airshaft. “The farther back I crawled, the older they got, from the 1960s to the 1950s,” foreman Bill Barron told the New York Times. The finds included a weekly paycheck stub for $226.30, a telephone bill for $7.24, faded photographs, and identification papers of the victims, few of whom were still living. 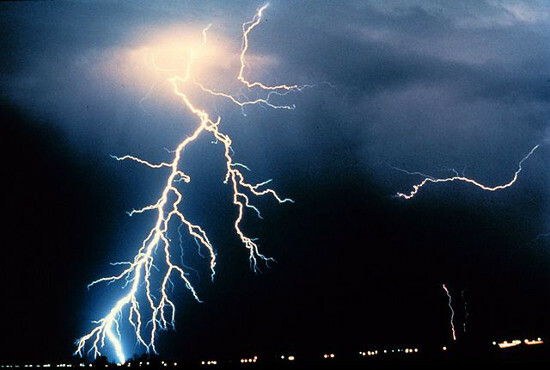 Plaintiff is informed and believes that defendant (God) at all times mentioned herein is responsible for the maintenance and operation of the Universe, including the weather in and upon the State of Arizona, and that on or about August 17, 1960, defendant so maintained and controlled the weather, in, around and upon Phoenix, in such careless and negligent manner as to cause lightning to strike the plaintiff’s house, setting it on fire and startling, frightening and shocking the plaintiff. Tansie added that God “did this with full knowledge and that the act was committed with malice and ill will.” He hoped to win a default judgment when the defendant failed to appear in court. I don’t know the outcome; maybe they reached a settlement. There is a touch of knight errantry about the action of Lennox Atkins F.R.C.O., hon. sec. of the Equal Temperament Committee, in applying at Bow Street for process against the Associated Board of Examiners in Music on the grounds that they were not qualified to know whether the music was being played in tune or not, and that therefore their diplomas were valueless. It certainly savours of the ‘ingenious gentleman’ of La Mancha who tilted at windmills. The temperament question seems to have upon those who take it up an effect similar to that which temperament produces in a prima donna. They become, to say the least, unreasonable. Happily Mr Fry, the magistrate, decided that this was not a matter for a criminal court, so that Sir John B. McEwan and Sir Hugh Allen are not to be shot at dawn, as was at first feared. Candidates were allowed to pass off the tuner’s scale as their own, and to obtain certificates to which, the E.T.C. claimed, they were not in equity entitled. 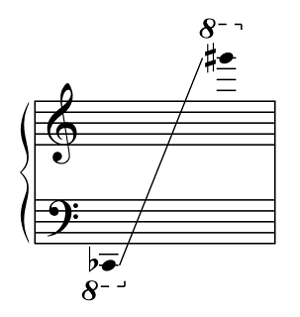 Every sound produced was the tuner’s and not the candidate’s. Famous examiners, such as the late Sir Frederick Bridge, had wrongly passed thousands of candidates in keyed instrument examinations. From the point of view of the E.T.C., the candidates were not really examined at all. The magistrate added that if it was thought that the examiners’ knowledge was insufficient then civil proceedings might be undertaken. [Joe] Munch is a soldier, on leave of absence. On the thirteenth day of August he found garrison life dull and proceeded to get drunk. A policeman found him in this condition and he was hustled off to the police station. 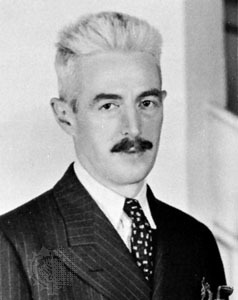 In Judge Gordon’s court he was sentenced to thirty days for being drunk and disorderly, but his case was taken to the higher court. Judge Frater decided that while the soldier’s crime was not enough to merit punishment, for the looks of things he ought to be sent to jail, and have a lesson taught him. Consequently Munch was sentenced to an imprisonment of one minute, something which the clerk who makes out the sentence documents never heard of before and which caused much merriment in court house circles. 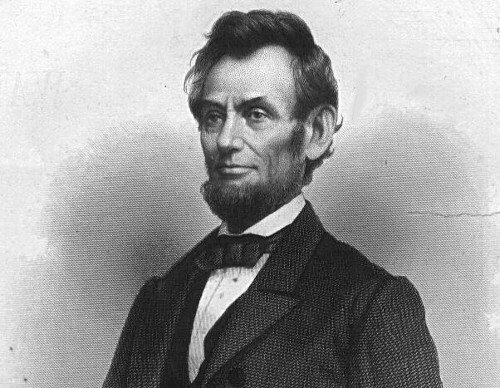 In 1876, a gang of inept Chicago counterfeiters launched an absurd plot to steal the body of Abraham Lincoln and hold it for ransom. 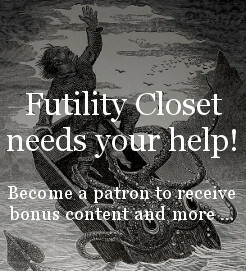 In today’s episode of the Futility Closet podcast, we’ll follow their comical attempts to carry out the bizarre scheme, and uncover the secret society that was formed afterward to protect Lincoln’s corpse. We’ll also puzzle over an overlooked way to reduce the odds of dying of a heart attack. We’ll also puzzle over why family businesses are often more successful in Japan than in other countries.